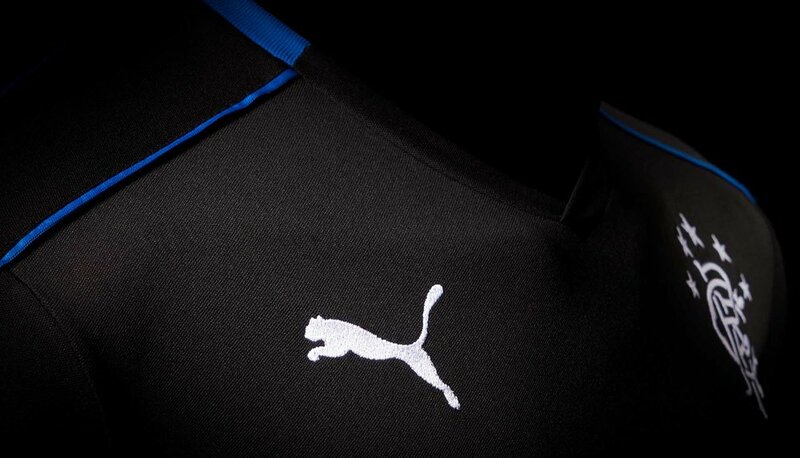 PUMA make a late addition to the Rangers 2017/18 replica collection by launching a third shirt for the blue half of Glasgow. 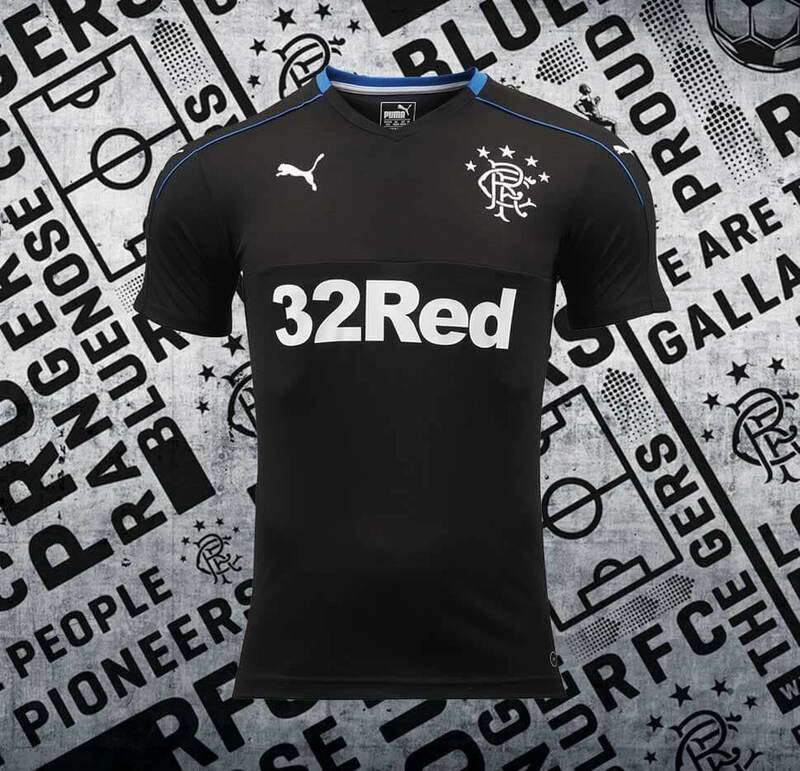 It's business in black for the Ibrox club as they're supplied with an alternative strip to wear in various away games throughout the rest of the campaign. Royal piping sits across the sleeve & neck line of the black backdrop, and the shirt has a V neck design with royal trim and the sleeve design taking inspiration from the original PUMA T7 collection. Smart aesthetics with clean white sponsor and club logo. Can never go wrong with a black kit. 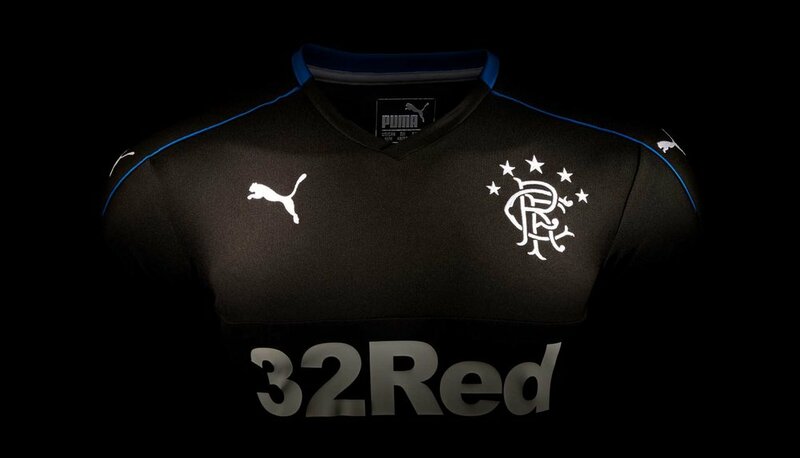 Blue home kit, red away kit; the black third kit will come into play when Rangers play away at clubs that incorporate both colours into their home strip. Ross County off the top of our heads, but it'll also come out in various away cup games, mainly because it looks dynamite.